Piece of Speaks: Maasinhon Trio Is Pilipinas Got Talent Season 3 Grand Winner! 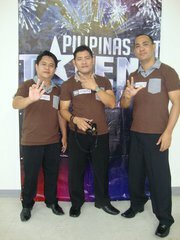 Maasinhon Trio Is Pilipinas Got Talent Season 3 Grand Winner! Maasinhon Trio was proclaimed grand winner of Pilipinas Got Talent Season 3! It was a shocking results night! They bested other 11 contenders namely Synergy, El Gamma Penumbra, Bringas Brothers, Renaging Pepito, Loverkada Kids, Muriel Lomadilla, Twin Divas, Sandugo Band, Kiriko and Khalil Ramos. The top 3 was a big surprise as two of the best acts during their performance night, El Gamma Penumbra and Synergy did not make it! From this info, one can conclude that people from Southern Leyte consistently vote for them until the end! So the final result pays their unending support! Maasinhon Trio brings home the bacon of 2 million pesos! No breakdown of votes was posted or announced by hosts or judges. 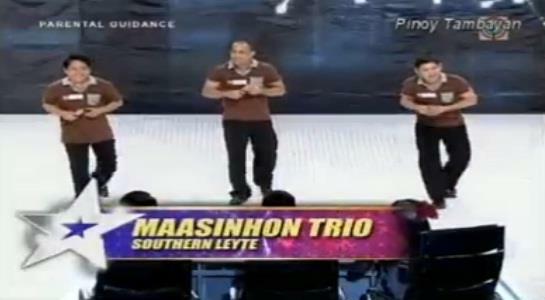 Is Maasinhon Trio deserves the title of Pilipinas Got talent Season 3 Grand Winner?